Not Dead & Not for Sale tells the tale of false starts and unfinished business—the heartbreak of true genius both realized and wasted and the ongoing battle against indelible demons. Music has power. The kind of power that causes an individual to run up a flight of stairs and start victoriously shadow boxing. Books should be an adventure. They should either tell stories that pull us in and keep us reading, or they should teach us unique and marvelous feats. Bob Dylan is a performing artist—a traveling bluesman, a modern-day minstrel—and the best way to try to access his art is to see him perform live. The Smiths, a rock quartet from Manchester, England, lasted only five years, from 1982 to their acrimonious breakup in 1987. But the band’s popularity hardly ended with their demise. 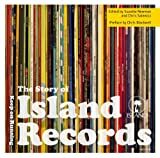 If a record label could have program notes to describe its history and catalogue then this book would be it (and it has pictures for the kids!). This is a cool book. Part biography, part multimedia art smorgasbord, John’s Secret Dreams: The Life of John Lennon is more than just a nonfiction picture book: It’s a work of art itself. When they literally were “just kids,” Patti Smith, poet and rock star, and Robert Mapplethorpe, photographer and sexual provocateur, showed signs of the artists they would eventually become.